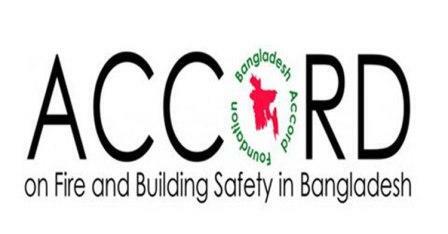 Staff Correspondent: Accord, an inspection and remediation platform of more than 200 global clothing retailers and brands, just two weeks ago sent letters to its signatories (buyers) to cut business ties with 532 RMG factories in Bangladesh for their “slow progress” in upgradation. The Supreme Court of Bangladesh is expected to deliver a verdict on an Accord petition for extension tomorrow (29 November, 2018). After an initial five-year term that ended in May this year, the High Court extended its contract by six months until November 30, 2018. The Netherlands-based watchdog now wants another extension until 2021 to “complete its unfinished work”. Recently, the European Parliament adopted a resolution, seeking an extension of its work in Bangladesh. The International Labour Organisation also supports an extension. However, many factory owners allege the Accord is putting too much pressure on them, sometimes for “negligible” issues. One factory owner claimed he spent Tk 38 crore on remediation to strengthen workplace safety over the past five years in line with Accord recommendations. He has installed the sprinkler system, expensive fire doors and new water pumps, streamlined the electrical wires, and constructed new walls breaking the old ones at all his six factories in Ashulia. With the remediation nearly complete, he was waiting to receive the certification from the Accord. “But I was surprised when the Accord engineers visited my factories again 15 days ago and asked me to re-fix some problems, which we already did as per their recommendations. Now I will have to spend a few more crore to fix the problems. It's a burden for me,” he said, asking not to be named. “Accord engineers often threaten to cut business ties if the problems are not fixed and re-fixed in line with their recommendations. I do not want the Accord anymore,” said the manufacturer, whose annual exports are worth more than $135 million. “I do not think the Accord should stay here anymore. Every day, it is imposing new action plans on us,” said Mr. Hatem, who has a factory in Narayanganj. Factory owners have been spending money without asking any question as they have to do business with companies who are Accord signatories. But it cannot go on forever, he added. “The factories bear all the brunt of additional expenses while the signatory brands keep on bargaining for cheaper prices. It is as if owners alone are responsible for improving the workplace conditions while the buyers will not spend a single penny for the purpose,” said another factory owner, preferring not to be named. A recent study by the Centre for Global Workers' Rights found the nominal prices of major product categories are falling. “Between 2011 and 2016, the price drop for garments exported to the US was about 11 percent, in comparison to a 9 percent decline for EU apparel exports,” says the report. The study was based on sales data from 211 Bangladesh suppliers of international apparel brands. The Accord has also played a major role in slowing the growth of an otherwise thriving garment industry in Bangladesh, said industry insiders. After the Rana Plaza disaster, some 1,200 small and medium factories were shut for failing to either achieve factory remediation or meet strong compliance requirements of buyers, according to the BGMEA. For example, in 2012-13, there were 5,876 active garment factories affiliated with the BGMEA. In just one year, it came down to 4,222. It rose to 4,560 in 2017-18 as owners of some big business groups reinvested and opened new complaint factories. However, subcontracting firms, which was once the main source of developing fresh entrepreneurship in the apparel sector, died a slow death as a result of stringent compliance. Khondaker Golam Moazzem, research director at the Centre for Policy Dialogue, said he was in favour of a brief extension of the Accord. This will give the local inspection body, Remediation Coordination Cell (RCC) set up in May last year, some time before it becomes fully functional, he said. Nazma Akter, president of Sommilito Garments Shomik Federation, a workers' rights group, supports the idea. “Our position is and has been that it is useful for the Accord to continue to help in promoting industrial safety as long as it is necessary for those factories that are under Accord to be remediated,” said Tuomo Poutiainen, country director for the International Labour Organisation. He too supports its extension until the RCC is strengthened. On November 19, the IndustriALL Global Union urged the government to lift the High Court ban on Accord's operation. Any premature shutdown of the Accord, leaving workers in unsafe circumstances, would jeopardise brands ability to source from a safe industry, he added. Commerce Minister Tofail Ahmed, who spoke to Reuters on the same day, said, “We don't need them anymore.” He added that the government is capable of monitoring factories. Siddiqur Rahman, president of Bangladesh Garment Manufacturers and Exporters Association, declined to comment, saying it is now a matter for the court do decide. Smart Jeans Limited challenged the operation of Accord last year. The court later ordered it to close its Bangladesh office by November 30.